APNews: “A drug that’s used to help control blood sugar in people with diabetes has now been shown to help prevent or slow kidney disease, which causes millions of deaths each year and requires hundreds of thousands of people to use dialysis to stay alive.” Click here for full story. 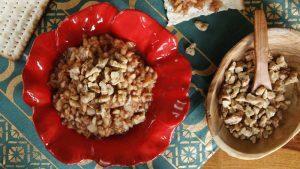 Science Daily: “While some cereals may be the breakfast of champions, a professor suggests people with Type 2 Diabetes (T2D) should be reaching for something else. New research shows that a high-fat, low-carb breakfast (LCBF) can help those with T2D control blood sugar levels throughout the day.” Click here for full story. The New York Times: “In older patients, rigorous lowering of blood sugar may offer few benefits and pose unexpected risks.” Click here for full story. The Health Site: “You can give birth to a healthy baby and reduce his risk of developing diabetes by managing your eating habits during gestational diabetes. Here, we tell you foods you can eat when you experience a surge in your blood glucose levels during pregnancy.” Click here for full story. 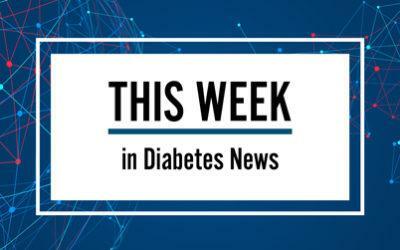 Science Daily: “A new study comparing people with diabetes, prediabetes and normal blood sugar finds that diabetes, left untreated, could mean a higher likelihood of developing dementia, including Alzheimer’s disease.” Click here for full story. Medical News Today: “In recent years, the ketogenic diet has become increasingly popular with people who want to lose weight quickly. A new study asks whether this dietary pattern works as well in females as it does in males.” Click here for full story. USA Today: “The escalating cost of insulin has desperate diabetics rationing medication, acquiring the drug from friends or getting it from Canada or Mexico.” Click here for full story. Reuters: “Women with pregnancy-related diabetes are at higher risk for developing cardiovascular disease in the decade after childbirth, a research review suggests.” Click here for full story. WebMD: “A commonly used diabetes test may not spot the disease as well as an older test does, a new study suggests. The researchers said the newer test — called hemoglobin A1C — didn’t catch three-quarters of the diabetes diagnoses found by the older test — called an oral glucose tolerance test.” Click here for full story. Reuters: “British drugmaker AstraZeneca Plc said on Monday the European Commission approved its diabetes drug Forxiga for use as an oral supplement to insulin in adults with a rare type of the disease.” Click here for full story. Medical Xpress: “Caucasians and Hispanics with diabetes have a greater risk of fracture compared to those without diabetes, while African Americans with diabetes have little to no additional fracture risk, according to a study to be presented Saturday, March 23 at ENDO 2019, the Endocrine Society’s annual meeting in New Orleans, La.” Click here for full story. Technology Networks: “Simplifying medication regimens and tailoring glycemic targets in older adults with diabetes improves adherence and avoids treatment-related complications, according to a Clinical Practice Guideline issued today by the Endocrine Society. The Society debuted the guideline during a press conference on the opening day of ENDO 2019, its annual meeting in New Orleans, La.” Click here for full story. A Sweet Life: “The FDA has denied approval of Sanofi and Lexicon’s drug, sotagliflozin, as an add-on to insulin therapy in the treatment of Type 1 diabetes. This decision comes just a few months after an FDA advisory panel failed to reach a consensus over whether the drug’s benefits outweigh its risks.” Click here for full story. Healio: “Adults with type 2 diabetes may be able to achieve improved HbA1c levels and reduce depressive and distress symptoms when treated with personalized cognitive behavioral therapy, according to findings published in Diabetes Care.” Click here for full story. Science Daily: “A new review featuring in the European Journal of Endocrinology suggests that a stressful work environment may increase the risk of developing type 2 diabetes in women.” Click here for full story. Medical News Today: “In combination with conventional statistical methods, artificial intelligence (AI) has now been used in a study of risk factors in type 1 diabetes. The objective was to identify the most important indicators of elevated risk for cardiovascular disease and death.” Click here for full story. Medical News Today: “Many people worldwide have type 2 diabetes, a metabolic condition in which the body cannot properly regulate blood sugar levels. Experts already know that lack of physical activity can contribute to the risk of diabetes, but what type of exercise might lower it?” Click here for full story. NBC DFW: “Most people with diabetes have Type 2 diabetes, with an assortment of drugs at their disposal. But somewhere between 1.5 and 3 million Americans are living with Type 1 diabetes and their only drug option, insulin, is what keeps them alive. Now, in a world’s first, a new oral drug for this disease could change the way they manage their disease.” Click here for full story. Healio: “Consuming red raspberries with breakfast could improve glycemic control in adults with overweight or obesity as well as prediabetes and insulin resistance, according to findings published in Obesity.” Click here for full story. Science Daily: “People with diabetes who quit smoking tobacco may have a lower risk of heart attacks, strokes and other cardiovascular diseases — and weight gain following smoking cessation does not mitigate the health benefits among these patients, according to one study. Long-term, heavy smoking is a risk factor for cognitive decline, researchers found in an unrelated study.” Click here for full story. Medical Xpress: “Factors that influence the health of our blood vessels, such as smoking, high blood and pulse pressures, obesity and diabetes, are linked to less healthy brains, according to research published in the European Heart Journal today.” Click here for full story. Science Daily: “Diabetes is associated with various health problems including decline in skeletal muscle mass. A research group revealed that elevation of blood sugar levels leads to muscle atrophy and that two proteins play key roles in this phenomenon.” Click here for full story. The New York Times: “More than 30 million people in the United States have diabetes. The vast majority of them have Type 2 diabetes. Some of those are testing their blood sugar at home, but the best research is telling us that they don’t need to — that in fact it’s a waste of money.” Click here for full story. Fortune: “In an update to its genetic test, 23andMe is trying to make it easier for people to combat type 2 diabetes. When customers now purchase the company’s $199 Health & Ancestry Service test, they’ll get their saliva screened for type 2 diabetes, among a variety of other health conditions, the company said in a statement on Sunday.” Click here for full story.